When my husband and I bought our house in 2007, we gutted it to the studs and replaced every single thing inside… except for the refrigerator. It seemed like it was in good shape and we decided that we would keep the one that came with the purchase. 7 years later, we decided it was time to retire that model. We lost half of the shelves that were on the fridge door, the water and ice maker never worked and the temperatures began to get a little testy. 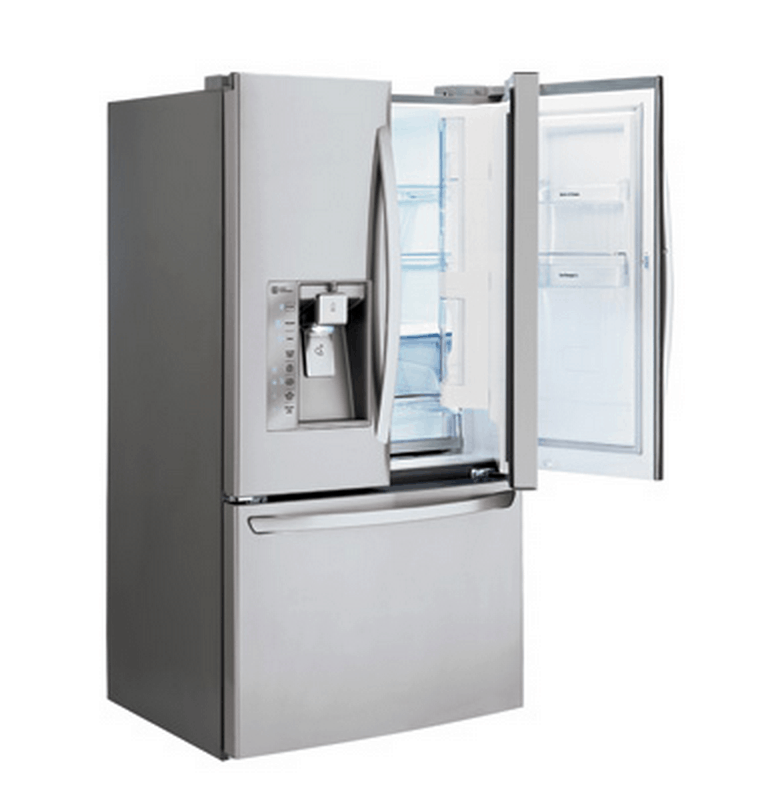 After researching for a while, we decided that we wanted the LG French 3 Door Refrigerator with Door in Door. Total magic. I’m going to do a whole video on this puppy when I get home from the hospital and settled with Liam. 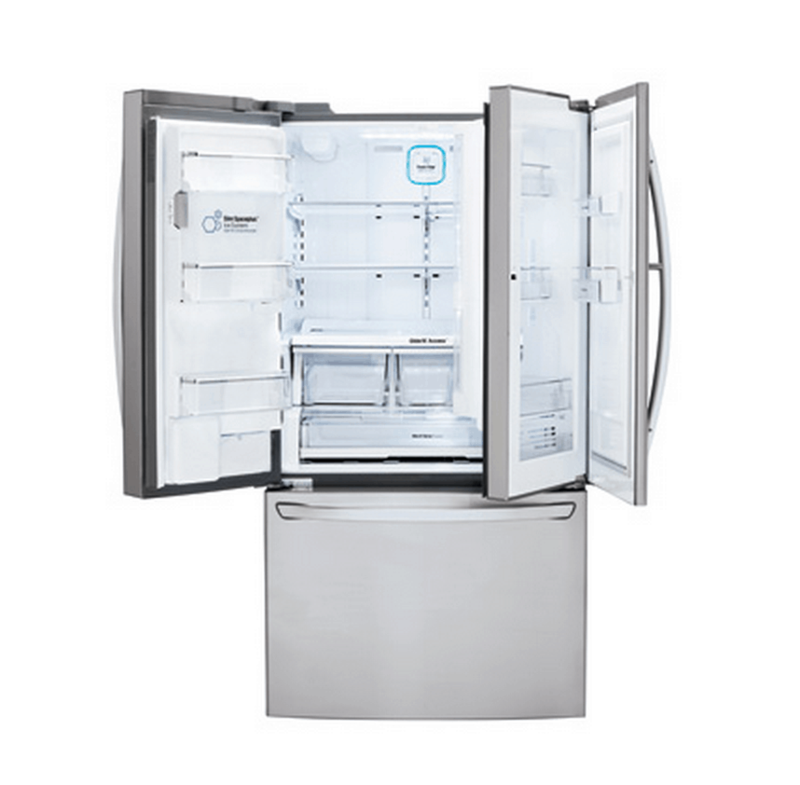 I cannot tell you how super excited we are to finally have a fridge with function. There’s so much MAGIC in this model. I swear! I mean… just look at the door in door. Use this space for items that you frequently use – think snacks and drinks. This way, you don’t have to open up the entire fridge to get to them. 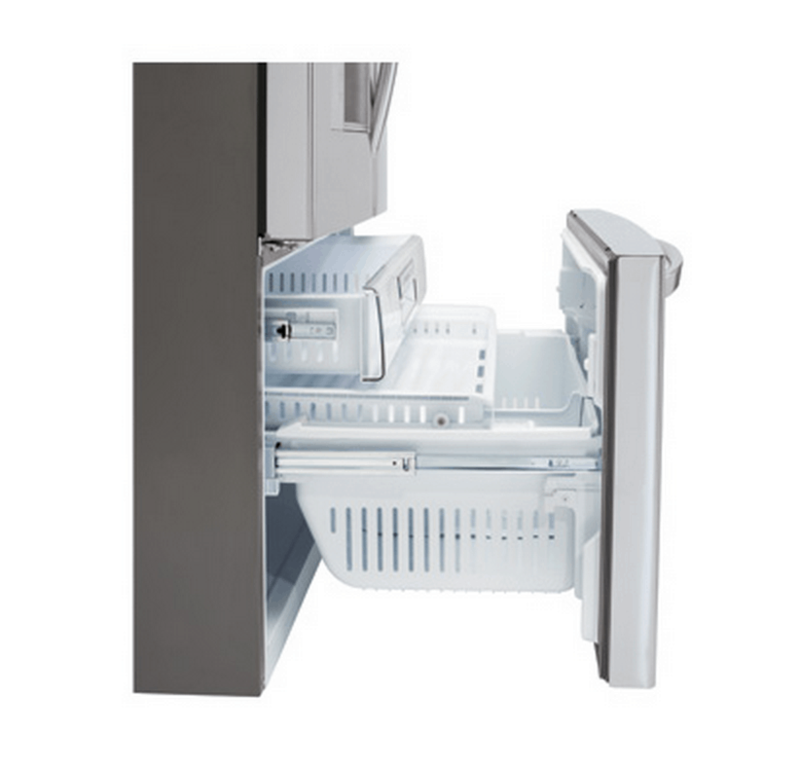 Did I mention that this fridge has 30 cubic feet of space for storage? I’ve given tours of this fridge every day since we placed it in our kitchen. No one can believe how much space is available for our food. The crazy thing? Our old fridge probably offered up half as much space as was exactly the same size! I don’t even understand how that is POSSIBLE but it is TRUE. I told my family that we need to take care of this one. No science projects are allowed to be left in this LG refrigerator. Oh no! This beauty will remain a beauty. I’m slicing up fruit and using pretty tupperware people. It’s getting serious! Take a look at the storage above — lots of showroom. I’m so GIDDY. And I don’t want to leave the freezer out because there’s a ton of room down there for your goods as well. 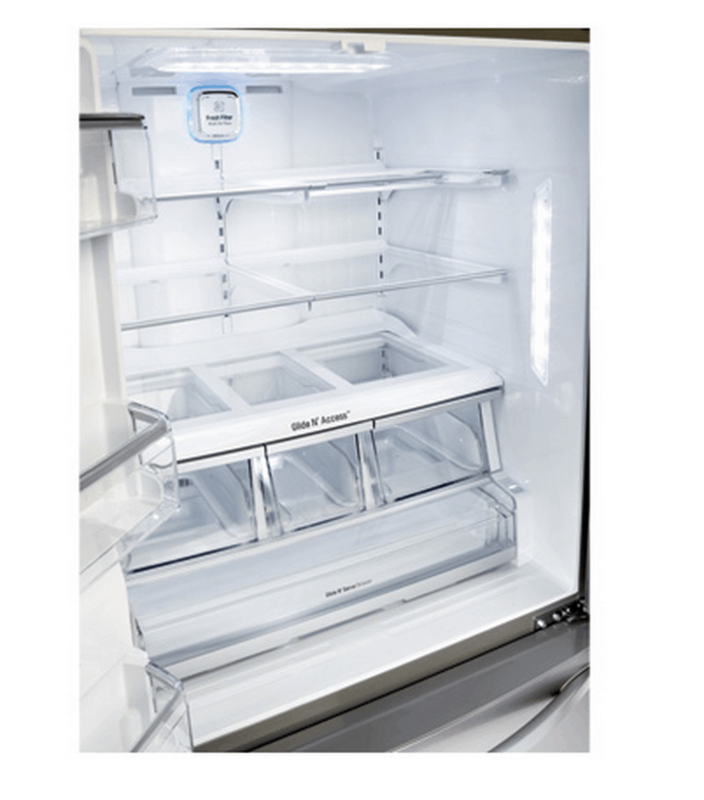 Want to learn more about the LG French 3 Door Refrigerator with Door in Door? Visit LG! And stay tuned here on the blog, because I am going to have PLENTY more to say on this subject. 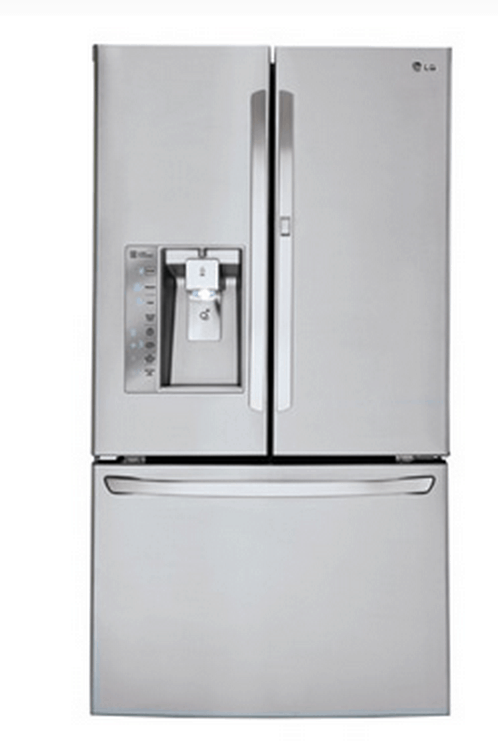 * I’ve partnered up with LG to promote the LG French 3 Door Refrigerator.